those of you wishing to celebrate romance!!! This Valentines day give your loved one, all the romance and magic that this night requires. music entertainment at Ulysses bar. The romantic atmosphere and the delicious food will make this night unforgettable. Enjoy with your loved one a rich buffet dinner for only €20.00 per person. Drinks excluded. 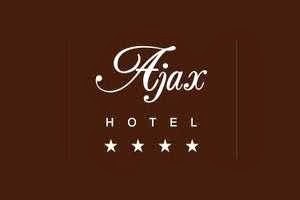 Celebrate romance with a pleasurable stay at Ajax hotel at very competitive accommodation prices.